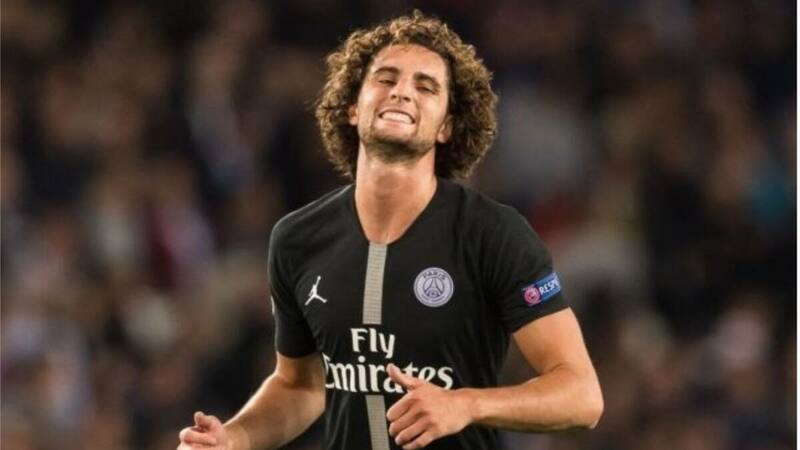 Adrien Rabiot's mother, Veronique Rabiot, who also doubles as agent has carried out on her son’s condition which she likened to a prisoner at Paris Saint-Germain. Goal.com report citing L'Equipe suggest the defensive midfielder has been axed from PSG main squad after opting out of talks to discuss a new contract with the Ligue 1 champions. At the last count, the 23-year-old Rabiot has not tested action for PSG since December 11, and has being repeatedly linked with a switch to Barcelona in the summer. Veronique is furious with the Rabiot’s present situation and confessed to L’Equipe that she is suffering as a result of his present predicament. "I do not want to cry about it, or to weaken even more Adrien saying he is not good," Veronique said. "We are attacking the human side here. We are modest. I can only tell you that he feels very badly [about] everything that happens,” even as she stressed that by keeping his sin away from the club, PSG are treating him like a prisoner. "Adrien is a prisoner! He is even held hostage by PSG. Soon it will be dry bread, water, and a dungeon! This environment is cruel." Interestingly, Rabiot was slammed for hanging out at a nightclub, moments after PSG were sent out of Champions League by Manchester United. Rabiot also liked a video Patrice Evra uploaded on social media blasting PSG for losing to Ole Gunnar Solskjaer's side. But Veronique insists her son mistakenly liked the wrong video from Evra. "I can already say that we blamed him for liking the wrong video," Veronique said. "This is not the one where Patrice Evra 'celebrates' the elimination of Paris. "And then, there is this nightclub outing ... But PSG wants to take care of Adrien's private life too, when they don't even want him anymore! "They want him to put on his pajamas at nine o'clock, before the game, in front of his TV, to go to bed at eleven o'clock! "These people do not know the rhythm of life of the players? When a player plays, which is his job, he has a training rhythm. In this case, nothing happens for Adrien. "Adrien is not going to take a pottery class until something happens. He must take care of himself, let him live!" Earlier, Legit.ng reported that Adrien Rabiot has been suspended for two weeks by his club PSG after liking Patrice Evra's video celebrating Manchester United's Champions League win over the French club. The club also frowned at 23-year-old midfielder after he was filmed in a Paris nightclub shortly after Paris-Saint-Germain's exit in the 2018/19 Champions League. But it was the video posted by Patrice Evra that made Paris-Saint-Germain's chiefs angry as the club were wondering why their player will like the celebration of their defeat.